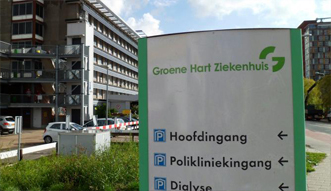 The Groene Hart Ziekenhuis (GHZ) in Gouda is a modern, flexible, efficient and enterprising hospital servicing approximately 300,000 residents of the Green Heart area of the Netherlands. Each year, the hospital provides inpatient and outpatient care to 140,000 patients. Quality of service to its clients is paramount for the GHZ. So, when the hospital's clients were frustrated by the amount of time they had to wait for service because the medical applications were slow or were not working in their new Citrix-based IT infrastructure, the hospital's IT team looked for a solution that could give them greater visibility into their growing Citrix infrastructure. 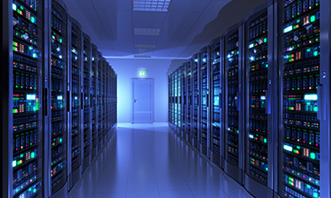 Healthcare institutions in the Netherlands must conform to Netherland Information Security standard called NEN 7510. To meet these guidelines, hospitals have to make all applications centrally accessible and have tight controls over which users can access the key applications. Once the centralized IT infrastructure went live, the hospital's IT team started facing some operational challenges. When users had individual desktops or laptops, if a user saw a slowdown, it would impact just that user's experience. With Citrix XenApp, multiple users were accessing the Citrix servers at the same time and if a problem occurred on the server, it affected all of the users on that server. During such times, medical personnel did not have access to key applications and data and therefore, could not service patients. This caused frustration for patients and loss of productivity for the hospital's medical staff. The hospital's IT team also found it difficult to troubleshoot problems in the new infrastructure. The IT infrastructure had many heterogeneous tiers with complex inter-dependencies between tiers. It was often required experts from external suppliers or the hospital's IT team to be involved in troubleshooting problems. The complexity of the infrastructure also meant that problem resolution took longer. "The shift to the Citrix infrastructure gave us a lot of benefits but it also created new problems. We were a very small IT department and we did not have the bandwidth or the expertise to deal with the new problems that started coming up with this new infrastructure. The result was we were very reactive and we were constantly responding after incidents had already happened", said Peter Bakker, IT Manager for GHZ. In the past, the hospital had been using a tool that primarily did network monitoring and simple up/down application checks. This approach was sufficient when the network was decentralized and users had their own laptops and desktops. With the new, centralized infrastructure, the hospital's IT team did not have sufficient visibility into the Citrix environment. When a problem occurred, they were struggling to pinpoint exactly where the problem lie – i.e., in the network, or in the database, or in Citrix XenApp, or in the application, storage, or the virtualization tier. The GHZ's IT team started a proof of concept (POC) with eG Innovations to get deeper visibility into their Citrix infrastructure. "The eG Enterprise solution was easy to implement. Within a day, we had our POC environment configured, and within a couple of weeks, we had several instances where the monitoring software identified problems. Based on these observations, we were able to quickly come up with solutions to these problems. We could clearly see that the eG Innovations software delivered what the company had promised", said Peter Bakker. Given the success that the hospital saw in the POC, it was an easy decision to deploy eG Enterprise across the hospital's IT infrastructure. "We have had the solution deployed for several months now and we are extremely happy with the software and the support we have been receiving from eG Innovations' Netherlands-based consultants. Given the scale of our operations, we needed a solution that was easy to maintain, so our administrators do not have to spend a lot of time to keep the monitoring system up and running. The eG Enterprise solution does just that", said Peter Bakker. With eG Enterprise, the hospital's IT team now has complete 360° visibility across the IT infrastructure. All of the infrastructure tiers can be managed from a central web console, and administrators even have visibility into parts of the infrastructure that are outsourced to third parties. eG Enterprise is also helping the hospital's IT helpdesk. The helpdesk staff can view service topology maps in the eG Enterprise console showing the health of key IT services that are provided to clients. Following simple color codes, they can determine exactly which administrator needs to be called to resolve a problem. This has reduced the mean time to resolve problems and improved the IT team's operational efficiency. The hospital's IT team is also making extensive use of eG Enterprise reports. Health reports now provide the executives with great overviews of the performance of the IT services. Prediction reports are also providing GHZ with excellent insights for capacity planning and sizing, as the hospital starts planning for future growth. Administrators are also now able to generate reports highlighting who the top users of the Citrix infrastructure are, what the top applications are, when do the most users login, etc. All of this information is critical for analyzing the Citrix infrastructure and optimizing it. "Earlier, our IT operations was very reactive. Now with eG Enterprise, we have become much more proactive. We are able to exactly determine where our bottlenecks are and can get working on them well in advance – before users notice. Our helpdesk and support teams have become more efficient and are saving time and money by solving issues quickly. We estimate that we are saving at least $125,000 a year just on our improved operational efficiency alone. Our clients are also more satisfied because our Citrix systems and applications are performing well, and whatever problems they face are being addressed quickly thanks to the complete visibility we now have over our IT infrastructure.